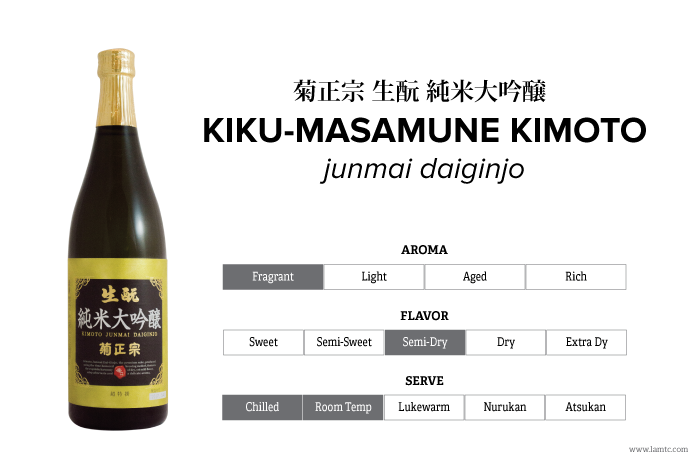 Junmai Daiginjo is typically consumed as an aperitif for its delicate fruity characteristics. In contrary, this reasonably-priced Junmai Daiginjo from Kiku-Masamune was brewed intentionally to whet the appetite and pair with food. The brewer's incorporate the traditional kimoto method in crafting the signature Kiku-masamune dry Sake. This Sake is dry yet with a distinct rich-savory feature that gracefully harmonizes with the gentle sweetness while finishing with a mellow aftertaste.